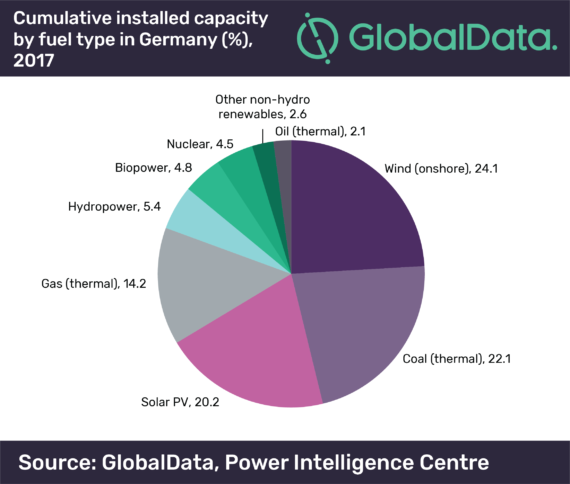 With Germany set to phase out its nuclear capacity by 2022, leading analysts GlobalData predicts that non-hydro renewables will almost exclusively fill the remaining capacity, and by 2030 will contribute over 70% to the country’s power mix. 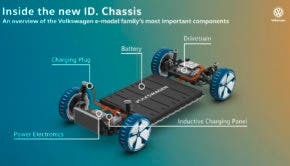 GlobalData published a new report last week which claims non-hydro renewables will almost exclusively replace nuclear energy in Germany as the country phases out the technology, bolstered by recent renewable growth which already contributes a significant percentage of Germany’s power mix. Specifically, in 2017, onshore wind power capacity accounted for the largest share of installed capacity in Germany with 24.1%, followed by coal with 22.1% and then solar PV with 20.2%. Looking forward, GlobalData sees Germany focusing on expanding its offshore wind and geothermal power sectors, which are expected to increase at a rate of 8.7% and 9.9% respectively. Conversely, thermal capacity is expected to decline from its current levels of 38.4% to only 23.2% by 2030, due primarily to a reduction in coal-fired capacity.